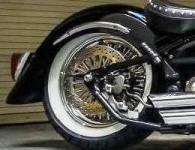 Pacific Coast Star designed specifically for your Road Star / Wild Star to lower your ride approximately 1 3/4" from stock. 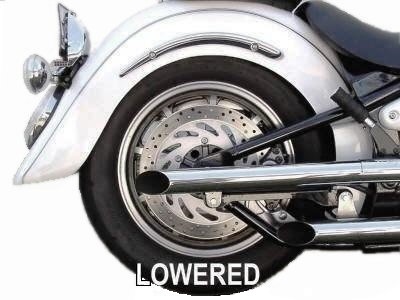 Gives your bike a tough lowered look, eases handling and lowers the center of gravity. Here's our most popular package! No matter what they tell you, there is a difference. Our lowering kits were designed the correct way the first time. 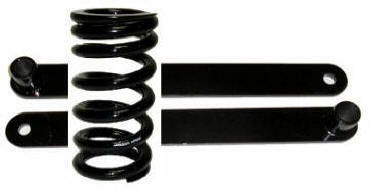 Then we added our unmatched Progressive Rear spring. This package offers the Comfort, Control, and Performance other kits simply cannot offer. 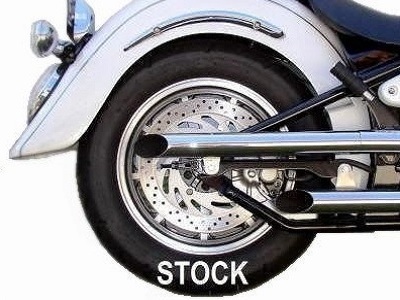 Hot Tip: When installing the lowering kit, the spring and lowering linkage come off the bike together. 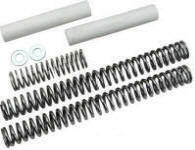 That's the ideal time to change the spring too.